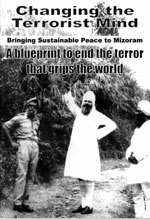 “Unlike today, this was a period of relative calm in India and the term ‘terrorism’ was virtually unheard of. So the violence in Mizoram, especially the triple assassination was a real shock. Baba Virsa Singh ji’s role in providing vision and counsel, through I.G. Gurnam Singh Randhawa and the guidance he gave me personally can not be overstated. 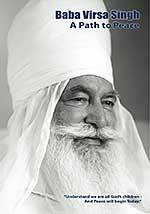 Baba Virsa Singh Recalls His Letter to President Bush of October 3, 2001. Baba Virsa Singh Speaks in Russia. Baba Virsa Singh’s message to the Global Peace Initiative of Women Religious and Spiritual Leaders Geneva. A Message from His Holiness Baba Virsa Singh.